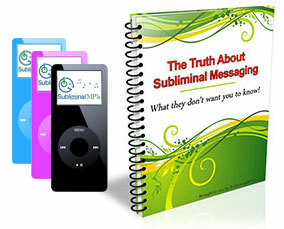 Boost your self confidence and start living the life you want with help from this life changing subliminal messaging album. Imagine how different your whole life would be if you were fully self confident. If you didn't hold yourself back, if you didn't worry, if you didn't care what other people thought of you constantly and simply had the self confidence to pursue the things you really want in life and live your life the way you want to. Imagine how this level of freedom would feel inside, and the things you would be able to achieve. Only when you have a natural, healthy level of self confidence can you live up to your full potential, and get the most from life, but this doesn't have to be a fantasy. Confidence is just a state of mind, and improving it requires you simply to make changes within your mind. Two identical looking people can have a vastly different level of confidence, so if you can acquire the patterns of thinking and the self beliefs that confident people share then you too will gradually become more and more confident, and this is exactly what our album will do. Our subliminal messages will change your self beliefs and patterns of thinking on a subconscious level and align them with the type of beliefs shared by people who are naturally self confident, and the best thing is that because you are making these changes deep within your mind they will stay with you! Make you see yourself differently - you will start to see yourself as someone who is naturally confident and outgoing. Make changes to your personality on a core level, to make you more confident from the inside - out. Give you the same characteristics and ways of thinking shared by naturally confident people. Develop your self confidence to make you more confident in social situations. Boost your confidence generally so that it spills over into all areas of your life. When you first start using this album feelings of being energized, excited and motivated are quite common. With a little more time these feelings will grow into lasting changes on a deeper level. You will feel naturally confident. Instead of worrying about things, or thinking of what you can't do you will feel excited by new challenges and think of ways you can do things. You will start to stand up for yourself more, and you will be far less concerned about what people think of you, and more focused on getting what you really want out of life. Download this powerful album today and you could be making a lasting transformation deep inside your mind within minutes - a transformation which will positively impact all areas of your life, help you live to your true potential and get more out of life.